Home> Resource> Phone/Data Clean> How to Delete Movies from iPad Air, the new iPad, etc. How to Delete Movies from iPad Air, the new iPad, etc. The iPad from Apple, that 9.7-inch (24.6 cm) marvel, has irrevocably changed our lives. With it, just about every function that is possible on a PC can be done on the iPad, with one exception. We know that removing or deleting a movie from your PC is a simple task for every user, but when you're attempting to do the same thing on an iPad, things could be a little bit complex. Actually, it is not a task that comes easily to the uninitiated, but is important to keep your iPad operating just like new. We know that the storage space of iPad is limited, so the files saved on the device is also limited. Thus, you need to delete old movies from iPad so that you have enough space to download more new films or other apps for entertainment. So in this short article, how to remove movies from iPad is discussed as a primer to you taking on the task yourself. So, read on and then do what we all should do - clean up your iPad step by step. In the following contents, we'll show you how to delete iPad movies manually or turn to 3rd-party iOS Data Cleaner program. You can compare them and decide which one is better according to your own needs. Just download the free trial version on your computer! 3) Hit "X" on the movie that you like to delete and then the video will be gone. This is a simple steps to delete movies on iPad, but the caches or cookies that generated by the deleted movies will not be removed. So if you need to free your iPad space thoroughly by deleting, then you'd better to turn to a professional data cleaner program for iPad. The iOS Data Cleaner is strongly recommended here to help iPad users clear or delete all kinds of files on iPad devices, including caches, cookies, temp files, junk files, text messages, media files, etc. With it, you can clear movies even all cookies or caches from iPad with one simple click. 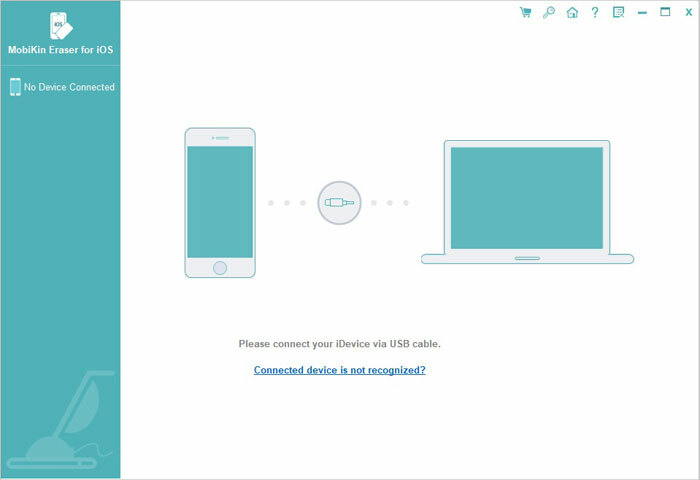 1) Download and launch the program on your personal PC, and then connect your iPad to the computer with USB cable. 2) Hit Photos or Videos file folder, then you can see the all movies on your iPad, and you can tick the one you wish to delete. 3) Then type "delete" on the new window to confirm and hit "Erase Now" button to remove them quickly.